The contemporary is he who firmly holds his gaze on his own time so as to perceive not its light, but rather its darkness. All eras, for those who experience contemporariness, are obscure. The contemporary is precisely the person who knows how to see this obscurity, who is able to write by dipping his pen in the obscurity of the present. Contemporaneity as the perception of darkness. 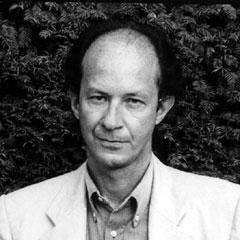 Agamben’s language is not without its own rhetorical obscurity at this point, but for a dramatization of the perspective he outlines we might look to Heart of Darkness. Historically it is a ‘modern’ novel but in its particular incorporation of narration, proximity and obscurity it encapsulates and also speaks from a point of con / temporal extimacy.